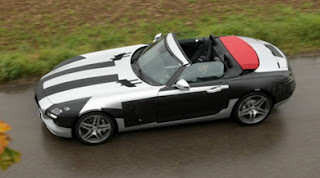 Mercedes-Benz of Lynnwood Blog: Mercedes-Benz SLS AMG Goes Top Down! Now the iconic SLS AMG will come with a convertible soft top! This new design will also include the AIRCAP and AIRSCARF technology—keeping drivers and passengers comfortable no matter what the weather. eMercedes-Benz has a few of the available details—and a few of the spy shots!